We suggest a mental model for the role of web certificates in the figure above. If a user wishes to interact with their bank, they can proceed to go there physically or they can login online. If they decide to do their banking online, they interact with the Internet through the browser of their choice. They load a website that appears to belong to their bank. 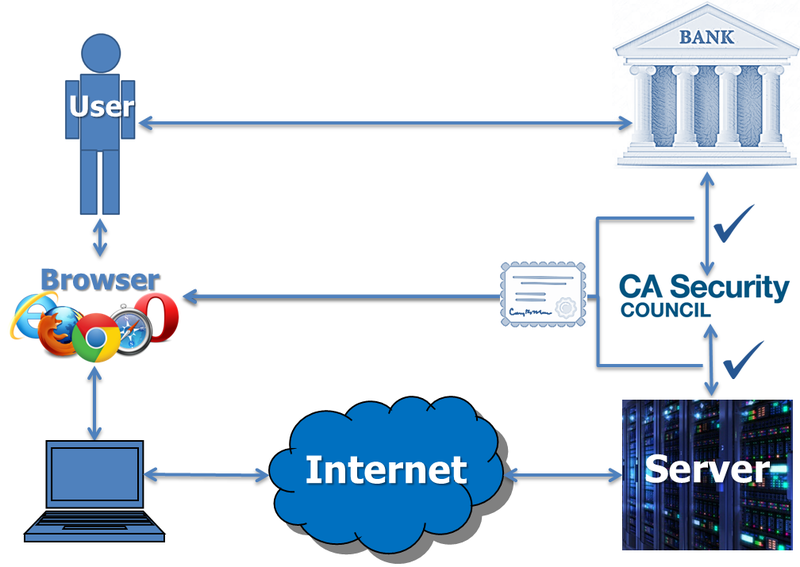 The web certificate (hereinafter cert) can provide evidence to confirm that the website is what it appears to be. This occurs since browsers will show information from certs issued by trusted CAs, and they will only issue EVCs where some proof of identity is provided.